Two well-known Canterbury residents’ associations, Oaten Hill & District Society and South Canterbury Residents Association, merged in November 2016 to form a new community group, Oaten Hill & South Canterbury Association (OHSCA). The Association covers an area south-east of the city walls, from Rhodaus Town to Lady Wootton’s Green, Pilgrims Way and east to Churchill Road along the New Dover Road, and south to Ridlands Farm, including South Canterbury Road, Nunnery Road and Oaten Hill. See Map below. 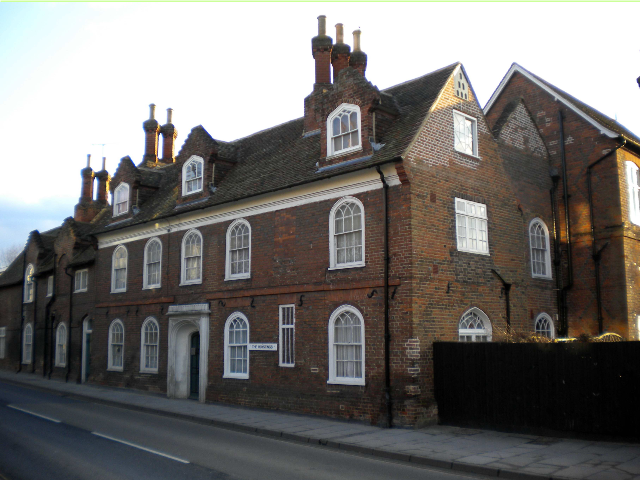 The Oaten Hill and District Society originally came into existence in April 1974 when a planning application was submitted to convert the house known as The Shrubbery, located at the junction of Oaten Hill and Upper Chantry Lane, into offices. If successful this would have led to the many fine trees in the garden being destroyed. 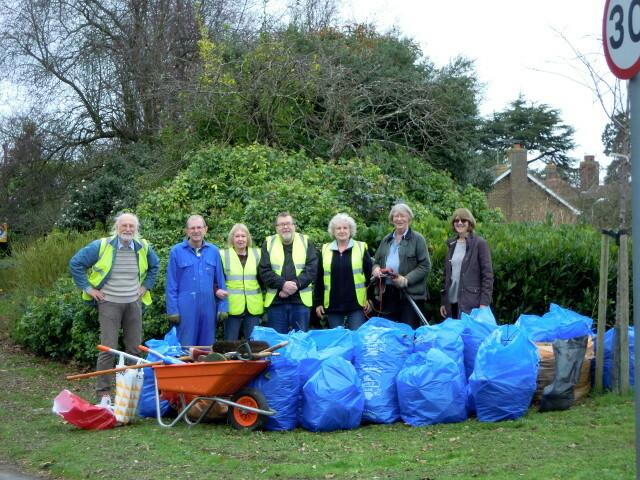 Local residents went into action, the trees were saved, and Oaten Hill and District Society was born. 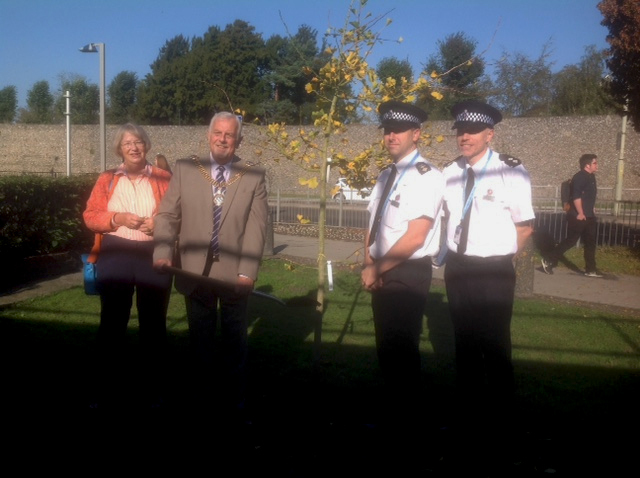 Over many years OHDS raised money for and carried out effective tree, shrub and flower-planting in public spaces in our area, and was vigilant regarding local planning applications. An energetic history association was also formed. The OHDS Local History Group continues to make a key contribution to recording and understanding the area’s social history, and helps to increase public awareness through publications. South Canterbury Residents Association represented local residents for over five years, ensuring the City Council was aware of the opposition to various Ridlands Farm schemes, oversized and inappropriate residential developments, reduction in councillor numbers, and concerns about the Draft Local Plan. 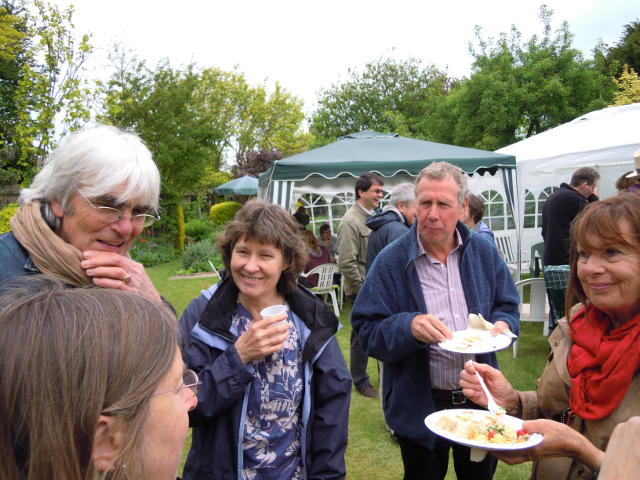 SCRA organised many community events like walks and plant exchanges. 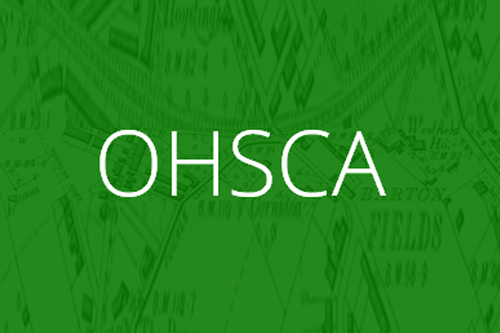 The strengths of the two memberships have now been brought together in OHSCA. This has enabled us to arrange more community activities for our members and, by representing an area which includes more than 2000 households, we have increased our influence on many local planning and environmental decisions that affect us all. Wider issues like air quality and healthcare provision are an increasing concern of the Association. Our Members are kept well-informed about planning applications and issues through our weekly emails on Planning Applications, and our quarterly Newsletters. Our latest publication, The Story of Oaten Hill in Canterbury has been published and was successfully launched at a packed meeting at The Phoenix, Old Dover Road, on 28th January. Information about the book, and how to purchase it, is available on the Local History page of this website. 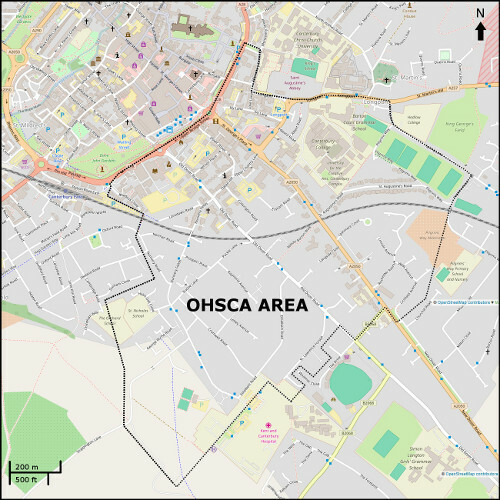 OHSCA and SMRARA (St Michael’s Rd area association) have raised the issue of Houses of Multiple Occupancy (HMOs) with CCC’s operational Higher and Further Education group. The issue has recently been raised again at a strategic HE/FE Community Working Group meeting, with respect to imminent changes in Council regulations. Under new arrangements, where 5 or more unrelated people live in any property it will be classed as an HMO, requiring a licence and compliance with relevant CCC regulations. A key difference is that the property no longer has to be 3 storeys or more. The changes are mandatory from 1st October, and retrospective. A list of all properties so affected should be publicly available about six months after that date. These changes were not widely publicised, but Tricia Marshall, CCC’s Director of Resources, stated more publicity would be forthcoming, which has since happened. At the meeting Pat Edwards also re-iterated John Bailey’s request from the operational group that HMOs be part of the action plan, and asked if CCC would consider requiring a register of HMOs in the category of 3 or more unrelated people – which were often of great concern for residents. It was confirmed that where 3 or more unrelated people (students or working sharers) live in a property it is classed as an HMO and CCC’s minimum bedroom size applies. These properties need a change of use to be altered from an ordinary family home but apparently none has been approved since April this year, under the Article 4 Directive. Tricia Marshall indicated these were matters that could be put on the agenda for a future meeting in early 2019 when the action plan comes up for review. The Council is fully aware that the City now has more HMOs than needed, and the OHSCA Committee considers that it is time for the Council to be transparent about HMO numbers. Tricia Marshall should have precise information. Regular meetings and events are arranged by this special interest group of the Association. Meets every Wednesday & Friday morning, at Kent & Canterbury Hospital gates opposite Cromwell Road at 9.30am. This special interest group of the Association holds meetings every other month.